Beautifully captured through the grass! Who was showing more patience, you or the egret? The egret for sure! I managed to sneak up on this one without being noticed. 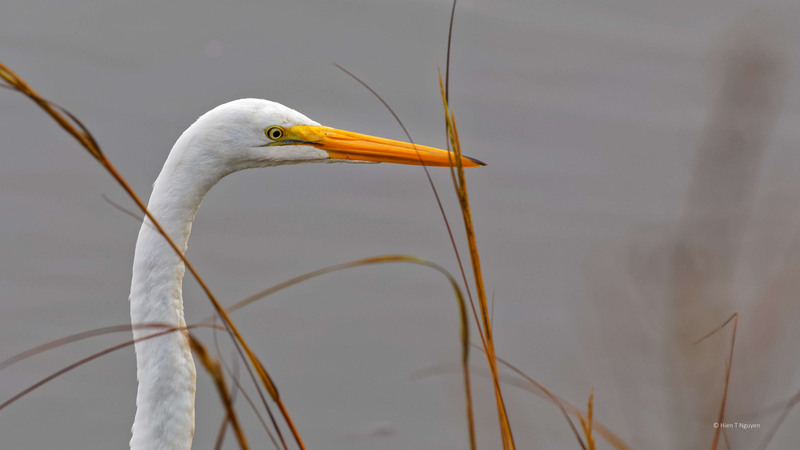 Are Egrets nervous birds? The portrait seems you were quite close. 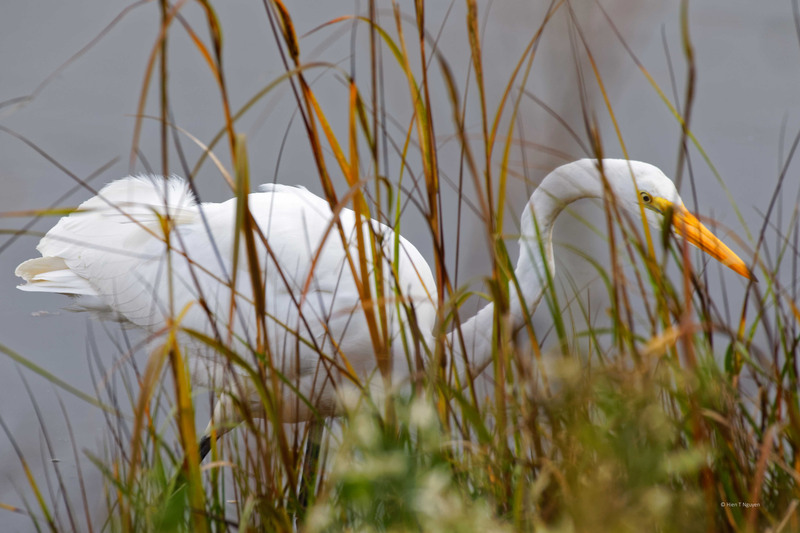 Egrets are like other birds, but they are bigger and it takes them more effort for them to fly. This one was so intent on looking for fish that it did not seem to notice me. How lovely they are Hien!Wonderful Great Egret portraits displaying amazing details and nicely framed! Thanks Doda! I managed to get real close, without the egret noticing. Special birds. Great captures, Hien. That’s an extraordinary neck, isn’t it? Great shots. Thank you very much, Philip!